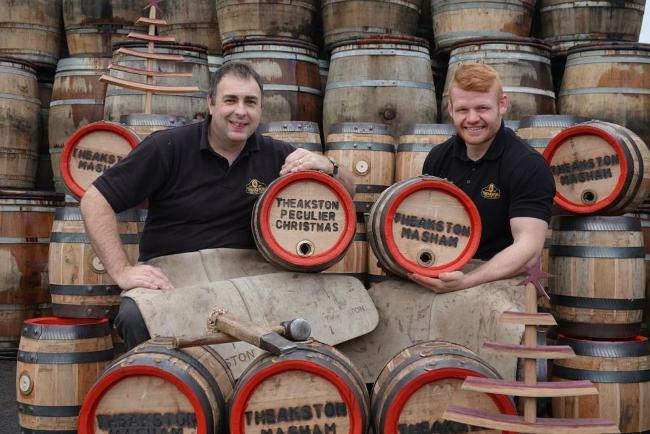 Further details about Theakston’s Christmas pins, which have to be pre-ordered, are available by calling T&R Theakston Ltd on 01765 684 333. Everything need to serve the Old Peculier in the traditional manner will be provided. The price of this unique product is £85 plus a refundable deposit of £100 on the cask and accessories supplied (total price £185). The deposit will be returned on safe return of the cask by January 31, 2019. If anyone has their cask branded with a personalised message there is an additional cost of £30 (total price £215). Please note personalised casks cannot be refunded. Full payment is required at the time of ordering. The beer will be available for collection each day between 10.30am and 3pm from Saturday December 8 to Friday December 21.